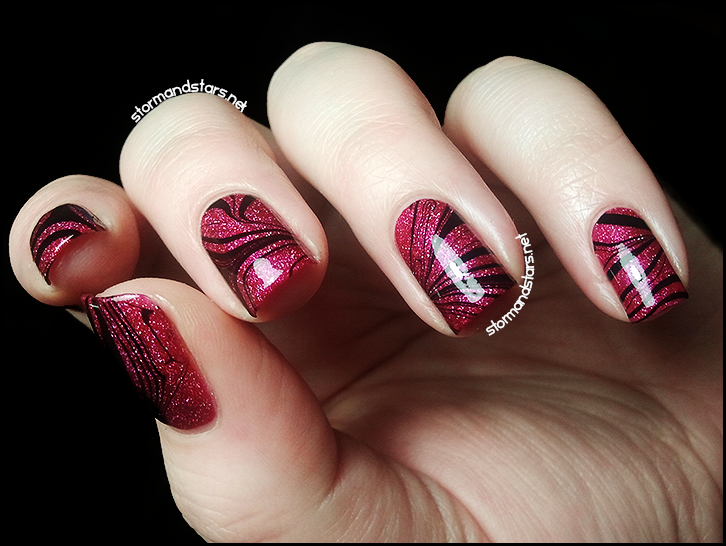 Tonights design is a water marble. 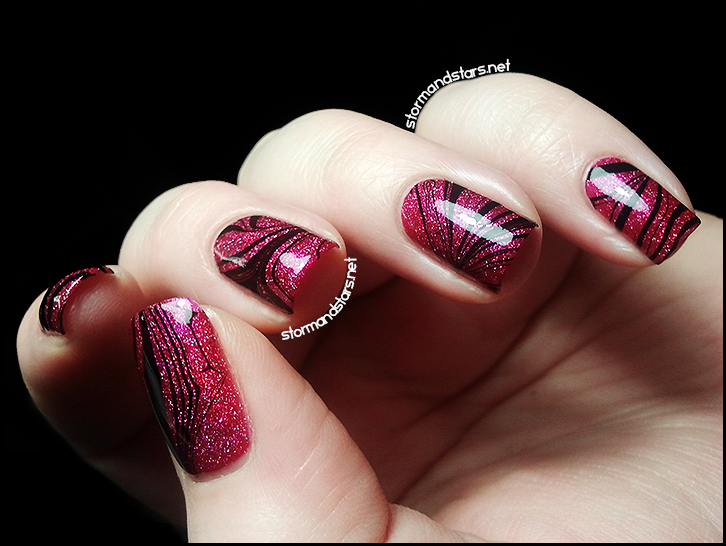 It took me a while to perfect these, but now that I've figured out what works for me I have a feeling you'll be seeing a lot more manicures like this. 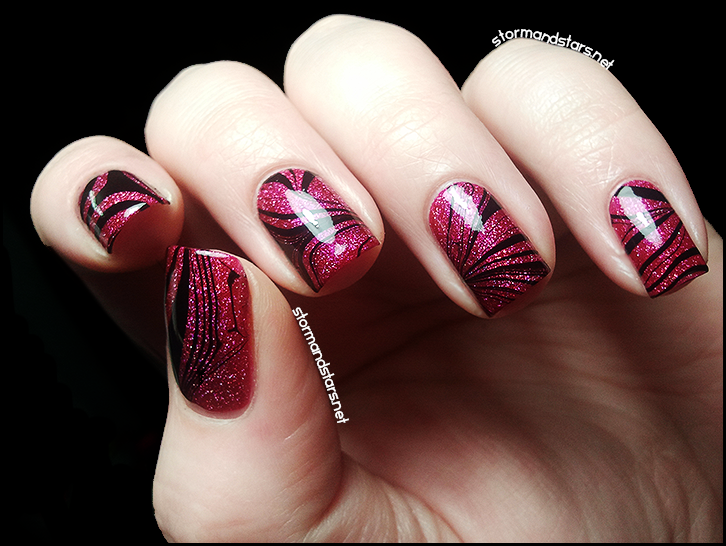 For this manicure I used 2 coats of Orly Miss Conduct from the 2012 Naughty or Nice Holiday Collection. This color is perfection. I plan on buying multiple backup bottles. I may even buy a case. 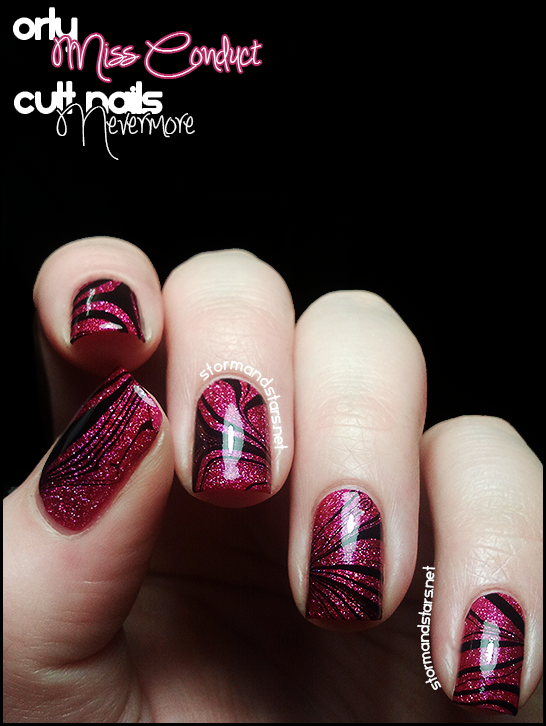 Over Miss Conduct I watermarbled with Cult Nails Nevermore (also amazing, need a couple backup cases of this one) and Sally Hansen Insta Dri in Clearly Quick. 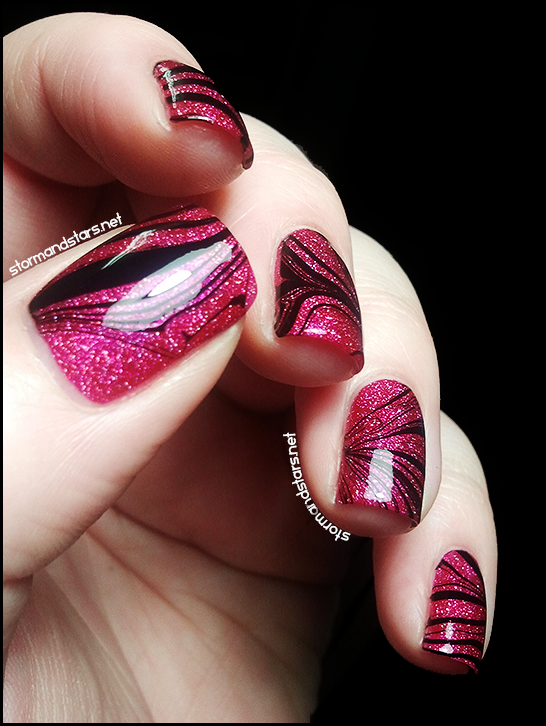 I love how using the black marble over Miss conduct it makes the glitter and sparkles stand out even more!! I'm honestly not sure how I didnt immediately post this when I wore it. But I managed to hold onto it for this post and I'm glad I did because now I can appreciate it all over again. I hope you enjoyed the glittery goodness and my rambling monologue and I will see you all again soon! Thanks for the tip about the comments! I thought I had already turned that off, it must not have saved when I did it.